Family-owned and family-friendly, El Caporal in Bend has been serving up fresh, authentic Mexican dishes since 1997. The staff at El Caporal believes in offering the freshest ingredients, delivering the best service, and enjoying every moment possible with their magnificent customers. 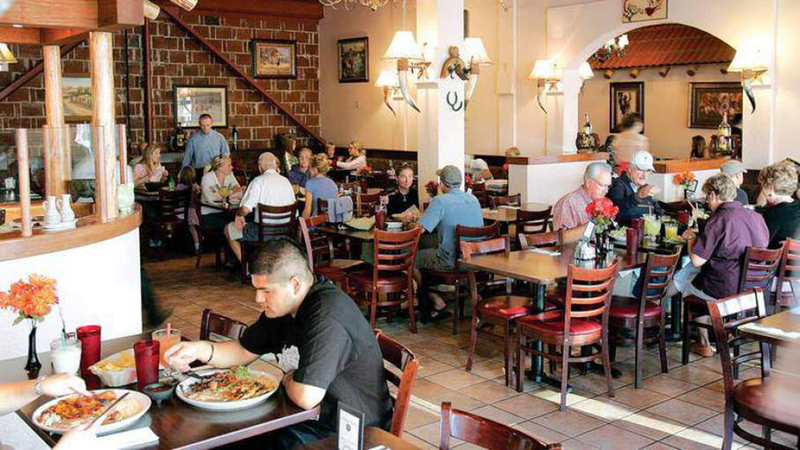 Located on Bend’s Eastside near Whole Foods and Costco, El Caporal serves lunch and dinner daily, featuring an authentic and robust menu of Mexican food. Get comfortable in the festive, friendly atmosphere because El Caporal’s menu is known for offering a huge variety of Mexican favorites. From tacos to tostadas, enchiladas to chile rellenos, every item is perfectly seasoned and features the freshest poultry, beef, seafood and produce available. An extensive kids menu will keep young diners happy and hamburgers and grilled cheese sandwiches are on the menu for those who prefer flavors north of the border. If you hit a hot spot in your dish, the full-service bar is ready to cool things down with a tasty cocktail, beers on tap, a selection of wines, or one of El Caporal’s many famous margaritas.